Some of the most important transactions you’ll be a part of in your lifetime require the services of a notary public, including the purchase of a home, executing a will and creating powers of attorney. But when you consider the physical location where you need these notary services, you can see how the situation can be quite inconvenient. Fortunately, we offer mobile notary services when you need to execute critical documents and it’s impractical to go offsite. Here are some of the benefits. A notary’s job is to verify the identity of the parties signing documents, which requires all signatories to physically appear and offer proof of identification. For certain paperwork – such as signing healthcare directives when a person is in the hospital – it’s not possible to do so. Other times, it’s just inconvenient for all parties to go onsite at a notary’s office, such as when you’re purchasing a car. A mobile notary public can be where you need them to be, according to your schedule. When you think about the value of your time, you can see how mobile notary services save you money. Instead of traveling across town to have a will notarized, you can hire a mobile notary that comes to your home or office. Rather than dealing with traffic and losing on business opportunities, you can retain a notary to visit you to handle the notarization process – which typically takes only a few minutes, as compared to the hour or more that you’d spend in your car. A traveling notary has the same credentials and qualifications as any notary public; the only difference is that you arrange for their services in advance so they can be onsite when you need them. You’ll still get the best service, including attention to detail, following proper notarization process for your state and answering any questions you might have. You’ll also have the peace of mind of an insurance policy for any errors or omissions. 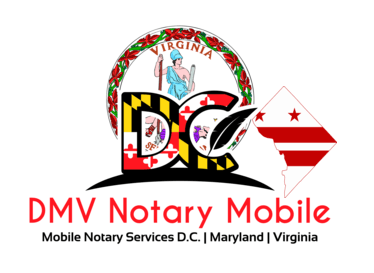 Mobile notary services save you time and money when you need to notarize important documents, when the circumstances are impractical or impossible to head to a notary’s office. Plus, it’s easy to arrange for a mobile notary public – whether you need a one-time service or would like to work out a long-term relationship. When your situation calls for a traveling notary public, make sure to hire a service that possesses the proper qualifications and will deliver quality customer care. Need to Sell House Fast or Sell Land Fast?